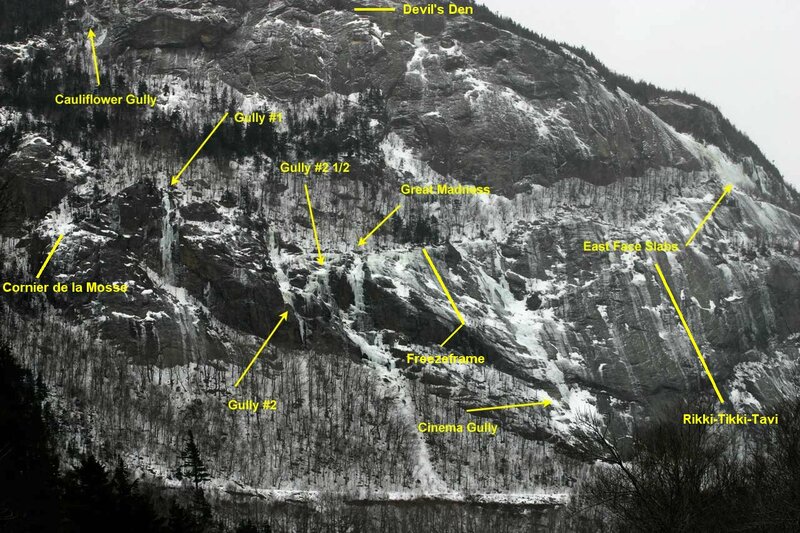 Description: Excellent ice climbing at all grades in a fantastic location, right off the road. Directions: The top of Crawford Notch on Rt. 302, just south of the AMC hotel and the Conway Scenic RR station.